All around me people are making resolutions. Dry January seems to be top of a lot of lists and the favourite question everyone loves to ask a pregnant lady is ‘how hard is it not to drink for nine months?’ To be honest, I really haven’t missed alcohol, but even when I wasn’t pregnant I could take or leave it to some extent. My weakness is definitely treats of the sweet variety and since I believe in Julia Child’s old adage of ‘everything in moderation, including moderation’ we’re kick starting January round here with these tasty little morsels of chocolate peanut goodness. Last week we celebrated Luke’s birthday by picking up the parking permit for our brand new baby-friendly car (goodbye Boris the Beetle, who is now residing with my Mum) and attending a three hour baby first aid course. Anyone who says your thirties aren’t rock and roll is, well, entirely correct. 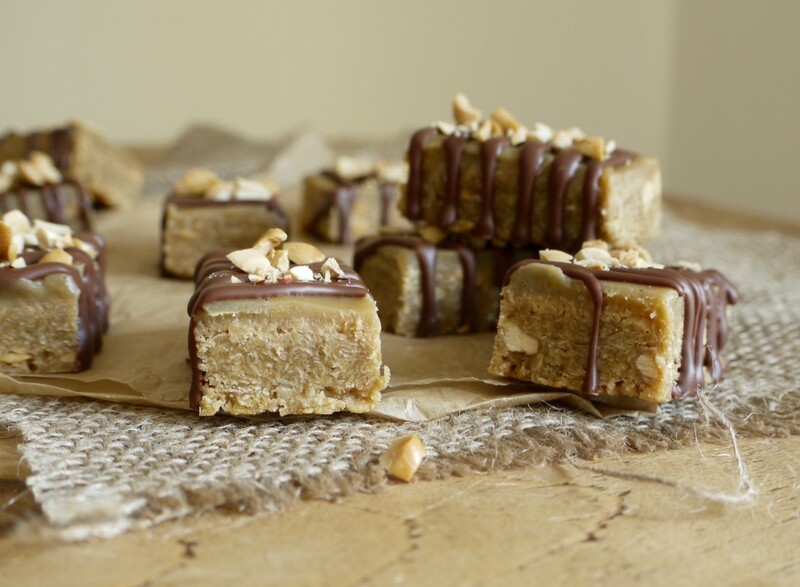 After a simple supper out we were home by 10pm and eating these Snickers flapjacks on the sofa. I made these flapjacks in lieu of cake at Luke’s request. His exact words were ‘something with peanut butter, caramel and oaty’ so I think they fit the bill. 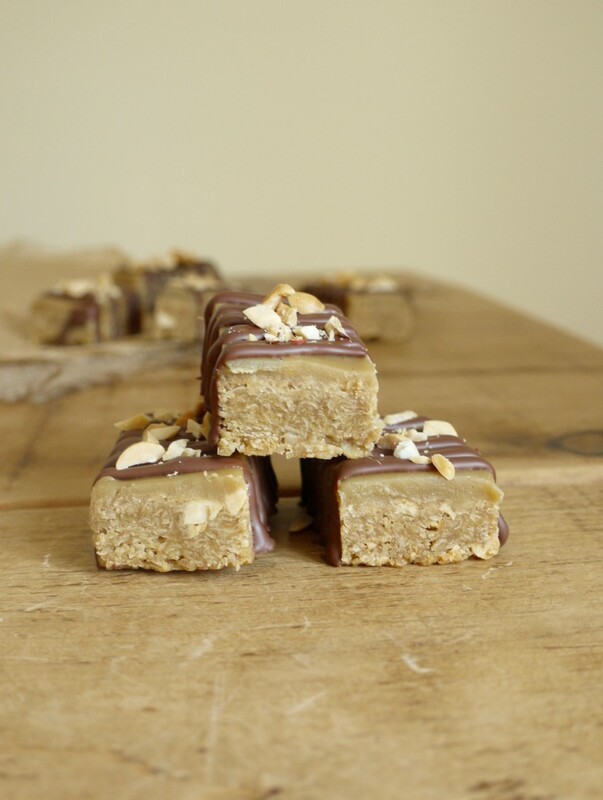 The base is a golden syrup flapjack stirred through with a few roasted peanuts, the middle layer caramel and the topping melted milk chocolate plus extra peanuts for crunch. 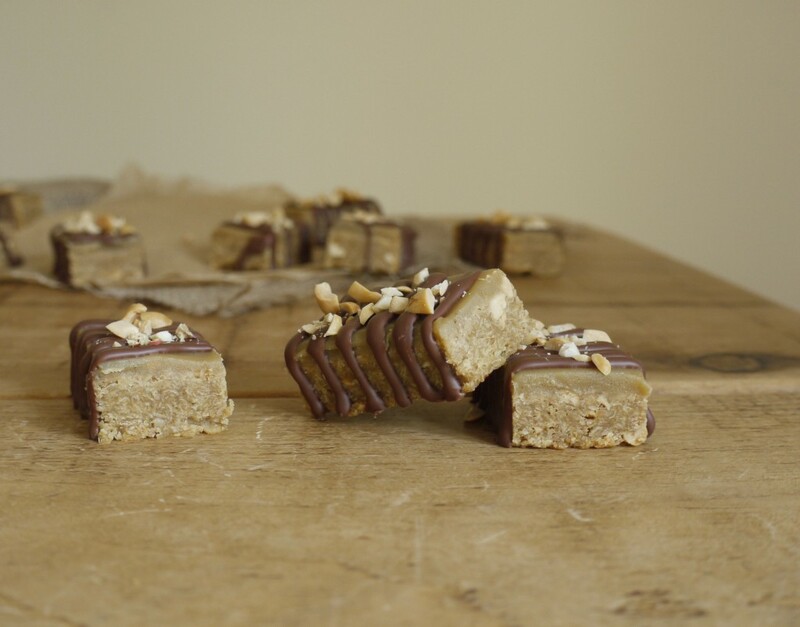 If we’re thinking brand names, I guess these flapjacks sit somewhere between a Snickers and a Twix, and although there’s a hefty dose of sugar they are, as always, made with honest, pronounceable ingredients and no preservatives or palm oil in sight. If you’re avoiding sugar in January then maybe bookmark these morsels of deliciousness for Feb. Or take what feels to me like a more considered approach and limit your sugar consumption throughout the year to just the occasional, homemade and really delicious treat. Drink a few glasses of wine, add a green juice to your morning routine if you’re baking brownies later and don’t beat yourself up about quitting everything that’s fun in a month that’s already long and grey enough. Life advice over, now go and turn the oven on. 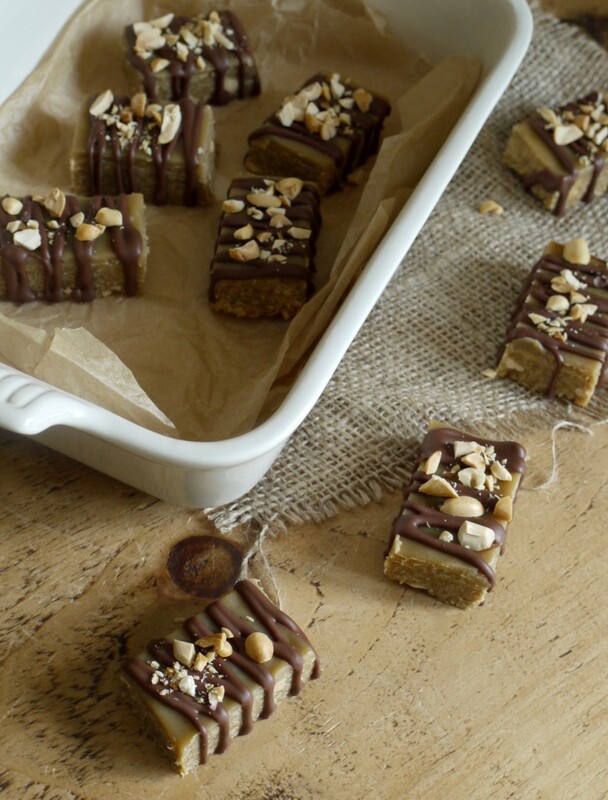 Gloriously nutty squares with a smooth caramel layer and milk chocolate drizzle. These flapjacks are so simple to make and the perfect afternoon pick me up or after dinner treat. Preheat the oven to 180 degrees C/160 degrees C fan. Grease a 20cm square baking pan with butter and line with baking parchment. In a medium saucepan, melt the butter, peanut butter, sugar and golden syrup over a low heat until smooth and combined. Stir in the oats, peanuts and salt then scrape into the prepared tin and bake for 20 minutes or until golden at the edges. Remove from the oven and allow to cool completely. To make the caramel, combine the cream and sugar in a small pan over a medium heat until the sugar has dissolved completely. Turn up the heat so the mixture comes to the boil then reduce to medium and simmer for 3 - 4 minutes, stirring constantly, until slightly thickened. Remove the pan from the heat and stir in the butter, vanilla and sea salt until combined. Pour the caramel over the flapjack base and leave to cool completely, then refrigerate until the caramel has set. Remove the caramel flapjack from the tin and cut into fifteen squares. 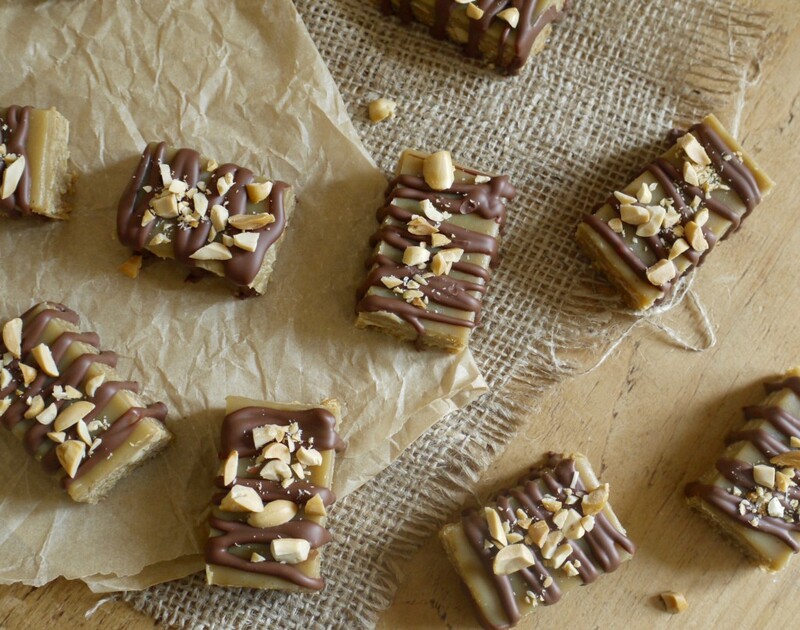 Drizzle each square with the melted milk chocolate and sprinkle over the peanuts. Allow to set at room temperature then serve. These flapjacks will keep in an airtight container for up to one week. I haven’t seen anything like these before! They sound awesome, and since I didn’t make any resolutions anyway I’m all for these! 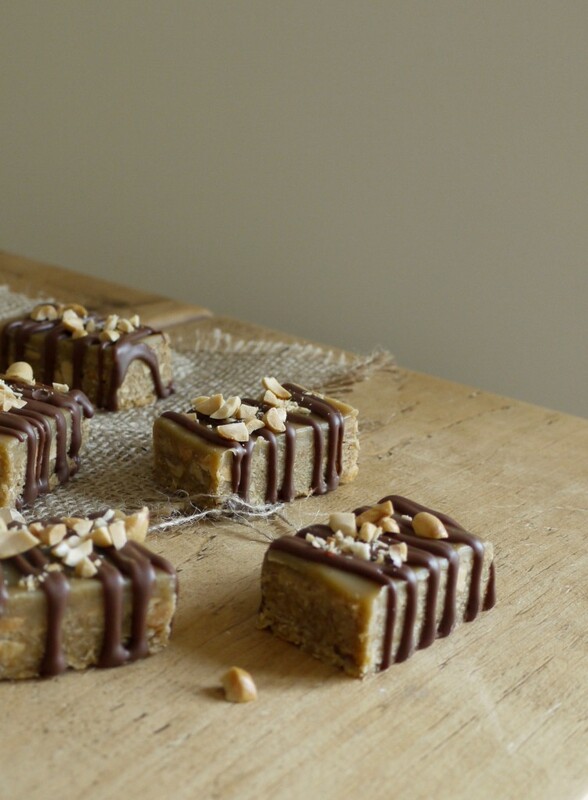 I’ll happily make these as is, although tempted to up the peanut because NUTS. Plus this is clearly a missed peanut butter opportunity. How wrong would it be to pop some under the caramel layer and/or in the chocolate topping? I feel so terribly guilty thinking of changes, however subtle! Your recipes are generally brilliant so I’ll happily admit they’re quite unnecessary. Good to see all things Baby are going well. These look lovely! 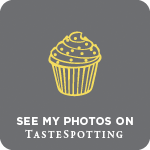 Definitely pinning to make at a later date! Oh my goodness – These are so beautiful! I absolutely must make them, plus I’m going to agree with the above comment and send them into over drive with the addition of peanut butter. I think the ’30’s’ is a great ole stage, I’ll sit on the sofa eating these over being in a cramped night club any day of the week! These look so good, I would devour them in one go. I rarely make things like these because my daughter is allergic to nuts but if one come into sight when she wasn’t around I would love it!